We are aware of an issue with this currently. While I can confirm that the Operator pack WILL NOT work on Bai, I am working on confirmation of what is happening with the Dark Command costume box. Once I have more information, I will make an official post on the subject. 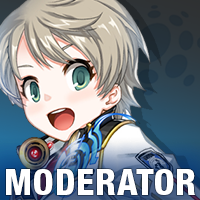 We will be entering maintenance on April 22 at 9 p.m. PDT, and expect this maintenance to last 3 hours (12 a.m. PDT). Any updates on this maintenance will be posted here. Please note that we will be entering maintenance an hour earlier than our normal time due to a separate necessary maintenance that will be happening to our purchasing system. Thank you for your patience and understanding, and we can't wait to hear what you think of Bai! Closers players: Elite Status, gardening and maid vouchers, plus four exclusive specialty suit costume pieces (hair, jacket, shoes, sunglasses). 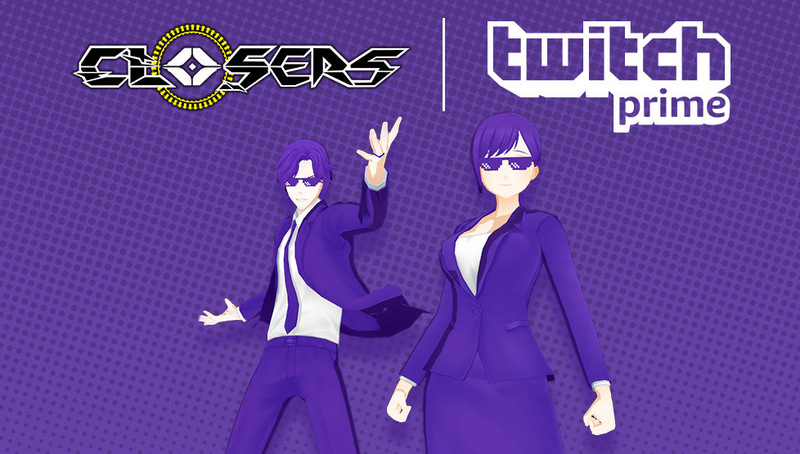 Closers: gear boosters, more Elite Status, and additional specialty suit costume pieces to finish the exclusive look (slacks, gloves, and alternate jacket; all those and a bonus skirt for the females), which now has been updated to include the newest addition to the Closers team: Bai! Sadly there will be no measures taken, as this was an intended action by Naddic(game devs), and occurred in the KR server as well. It's a bummer nevertheless. I was hoping something could've been done. That reply isn't acceptable. This isn't a matter of if it was intended or not by Naddic. Because regardless of it being "intended" by Naddic, it doesn't in any way excuse it. It is unacceptable by any stretch for such a plan of action to be carried out. It might as well as be, "Naddic has declared we will randomly ban 5 people each week to appease the gods," and it would be as absurd and unreasonable as this. I also will not fully excuse EME's blame because they can intervene in extreme cases. This is an extreme case. Even if they had to offer money to be allowed to manually adjust people's progress or offer some sort of appropriate compensation, they should of done so. It is that bad of an instance of poor conduct on the developer/publisher end of the product. I don't live in South Korea, so I don't know what the cultural position is on being completely treated like trash by a company, but in the States, that doesn't tend to go over well, not when it is this blatant and in the open. Just because you're a publisher of a niche game doesn't somehow excuse you of ethics and good business practice. This is over the line and it isn't going to go away til it is properly dealt with, period. You should expect nothing less from such a disregard of your customer base. If the game were to die on this hill, then people would see why (at least in this part of the world) and understand completely. To sum this up, months of progress for some of these achievements were deleted from the game to merely switch to a different system to keep track of achievements. It was not planned by the developer to retain progress. It was not attempted, likely because they thought it wasn't worth the investment. Nothing any player did is responsible for this loss in progress. Nothing the player could do could have prevented it. For our server, I believe it was not even possible to complete the Reverse Overflow title (currently the best PvE title in the game for offensive stats) at this point without losing all progress. Not to mention all the absurdly long grindy titles like Overlord. Or achievements that easily could equate to thousands of dollars of resources to gain that progress in such as the +15 one mentioned by the OP. I'll say it again, it is not, in anyway, acceptable. Fix this or provide appropriate compensation. There is no other answer that is acceptable with any shred of respect left intact. The CEO of EME or even Naddic their self could reply and try to justify this disgusting disregard for the playerbase and it wouldn't help without compensation because mere words do nothing to bridge the gap created by such reckless abandon of this community. Of course, I don't believe this was the right choice, regardless if it occurred in a past server or not. I was simply giving a response as to what they replied with, when asked about it. I don't agree with it nonetheless, but that is their reply. In actuality, I implore you (along others) to continue sending feedback so we can once again direct it to EME, so it can then be bought up to Naddic's attention once more. I don't blame others for being upset either, as that's possibly months+ of hard work down the drain because of an achievement rework which while yes, was intended, could've at least saved our progress with some work around. So again, I highly recommend continuing talks regarding this topic, as it's clear a majority of the community wants change for this to which I don't blame. Edit: Regarding compensation, when asked about earlier in the week it wasn't in the plans, but we'll push on this again as well. Hello fellow players and community staff members. My in-game name is Pascuali, and I'm a cute Levia. This doesn't have anything to do with my problem, but it's polite to introduce yourself when discussing stuff. I'm still pissed off after the achievement revamp patch. I was at 92/100 Hell runs to get my achievement, and that progress is lost. I don't even know how far I was in Overflow achievement. I don't mean to rub my achievements on other people's faces, but I also made 3 +15 items and 3 +14 items, as well as countless +13s/+12s. All that achievement progress is GONE. I didn't get to keep any of my enhancement achievements. Before someone calls me "whale" and tells me to just do them again, sure, I might do them again, but is it fair? will I even have the luck or RNG blessing to do them again? Why would I have to do it again if I already had it? I don't whale hard, I just buy costumes from time to time. I have terrible luck tuning costumes and gear, and I don't plan on risking my in-game funds on trying for another +15 item again. Even if enhancing is a thing of RNG and luck, I think it's not fair that after actually earning those achievements, we lost them all anyway. I haven't heard a single word about if something will be done about the lost progress on our achievements, or if they will just ignore the issue until no one keeps asking. I have asked people on player council about it, and they also don't know if any measures will be taken. So I wanted to ask here and see if anyone else is actually pissed off about losing achievements AND progress on them after the patch. Before I begin to give my feedback on this matter, I'd like to introduce myself just as Pascuali did. Hello. My name is Solbane Suzumiya. 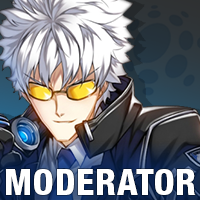 I'm one of the main streamers for Closers Online, and I used to be an EME Partner. I am currently no longer partnered with EME, nor do I plan to ever reapply for the program. I personally do not want to be affiliated with a company like EME due to quite a few of the actions that EME has taken, and some light on said actions will be shed in this post as I feel like it is relevant to the current topic. Now then, the issue at hand has to do with the achievement system being updated. With the update of this system, all achievement progress for everything was wiped. That means that achievements that existed before and exist now have lost all progress. A lot of achievements are easy to just say "just redo them", but a ton of these achievements aren't that simple. Some were massive time investments, such as achievements requiring 50+ runs of dungeons we got 1 entry of every other day or so. At 3 runs a week, that's 16.67 weeks in order to do 50 runs, or around 4 months. Losing 3+ months of progress on an achievement just to be told to restart from square 1 is unacceptable. However, I'm sure quite a few people realize that with the huge micro-transactions every 2 weeks that paid players get a better experience, right? Wrong. The main achievements for the paying players of this game (+14 enhancement, and for a select few who got extremely lucky or spent a lot, +15) have also been reset with no compensation. Considering how +15 has an exclusive title with it, the fact that these were not updated is beyond unacceptable for a company. The achievements for character levels automatically updated with what level your character is, and yet simply checking accounts for a +14 and/or a +15 is too much? It's too hard to save the old achievement progress? To tell the truth, I don't buy the excuse of "EME can't fix this" one bit. I think a more appropriate excuse is "EME doesn't find it worth the money investment to update the achievements when they can instead profit off of players spending more to get the achievements again". The excessive monetization of Closers is beyond sickening, with countless items that were 100% free for players in KR being put in $50, $100, $150, $etc bundles in NA. Whether this excessively aggressive monetization is Naddic's idea or EME's idea I could care less, but the point stands that EME is continuing to do it after so much time. Three and a half months ago I posted a thread in the feedback section about how horrendous Bitna's costume drop rates were. I've gathered more data since then and it seems like a 20% costume pull rate is being LUCKY. That's 500 emp per piece, so a 6 piece set would be 3000 emp if you got lucky. I wonder why we keep barely getting things into the EMP store, and why when we do get a color variation into the store it's the "generic" one. On top of that, KR has this nice feature in the store where you can buy individual pieces of a set, while in NA you have to spend $20 - $25 for the single set. More massive monetization on the game. However, I can overlook the monetization issues if it wasn't for how horrendously EME acts around its playerbase, and this achievement issue is a perfect example. My final straw on all of EME's practices was when several staff members were messaging me on discord to "silence" me in regards to the "pro-Bai" topic. The fact that words such as 'whining' and 'stupid' were censor-worthy didn't sit right with me, so I finally confronted them privately about some of these issues, wanting to have a discussion about it and potentially reach a solution. Instead of getting a discussion (that I was promised by an EME staff member), I got an email stating I was terminated from the program. The fact that I was removed from the program for stating a slightly negative opinion and then privately questioning EME's actions should speak wonders about how they treat their playerbase. I 100% agree that some kind of monetary compensation should be arranged if they cannot restore the achievements, but knowing as much as I do I wouldn't be surprised if the compensation (if any) amounted to 30 days elite, 15 days maid/garden, and some resurrection capsules. There have been many gaffs on Naddic/EME's part, but this is one of the worst ones. In no way, shape, or form is it okay for a developer/publisher to reset achievement progress to simply update the achievement system. Even if it means manually adjusting everyone's progress, this result should be totally unacceptable. Any player who leaves the game because of this gross mismanagement is beyond justified. This game deserves to fail if it doesn't even care enough about its playerbase to not reset their progress on the game's achievements. If Naddic/EME had not come up with a way to maintain achievement progress with the system update, then it simply should not have been updated, period. This is an issue that deserves to be complained about by literally every player til something is done to compensate this clear case of incompetence and unprofessional conduct on Naddic/EME's part. Welcome to the new marketplace section! This is an area where you can buy/sell your items and make trades with other players. You can also use this section to talk about general business, such as item pricing and the value of various items. This was brought up via suggestion in the Closers Feedback section of the forum and I thought it was a fantastic idea. I'll start off the discussion by pointing new players over to our Daily Deals page where you can get a free item for your account every single day. We also have rotating discounts on various in-game items that change up every day, and various packages that rotate every couple of weeks. If anything, it's a good way to bag some extra loot by simply grabbing our daily code and throwing it into your launcher. Some items are not directly tradable and can only be sold on the Black Market. These items will show "Trades on Black Market"